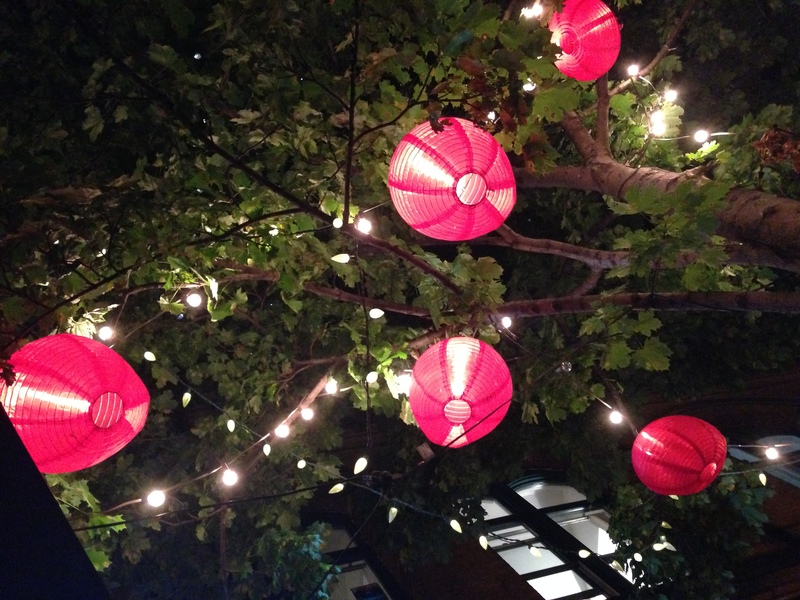 Beautiful lanterns in the trees above our heads. A special restaurant, on a special street in Charlottetown. I scanned the menu for some time, trying to select something special for my very first night in Prince Edward Island. I decided on the cioppino, the description of the dish was very appealing, after all, I was in a seafood town. 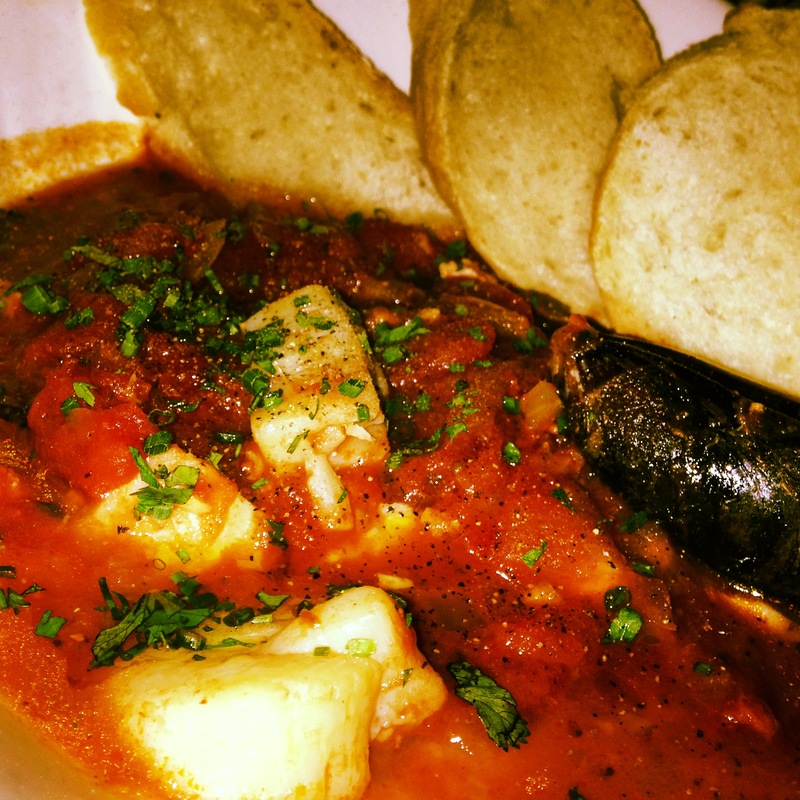 To be honest I am not a huge fan of shellfish, but this seafood stew had a fantastic balance of lobster, halibut, mussels, and haddock, and….it did have a nice kick to it. It was one of the best seafood dishes I have ever had!! The layering of flavors, the choice of seafood and a tomato based broth was delicious. Even as I write, my taste buds tingle it was that good. During my stay in PEI, I quickly discovered that Charlottetown is a quaint, safe and inviting city with much to offer a visitor; food and ambiance is no exception. I did not have any low points, but please note the guests at our table did not utilize the inside of the restaurant so I cannot comment.